Most of us know that the healthiest way to shop in the supermarket is to stay around the perimeter (where the food is generally the freshest and most natural) and avoid the “Frankenfood” in the center. Can the same be true for vendor expos like Digital Dealer? 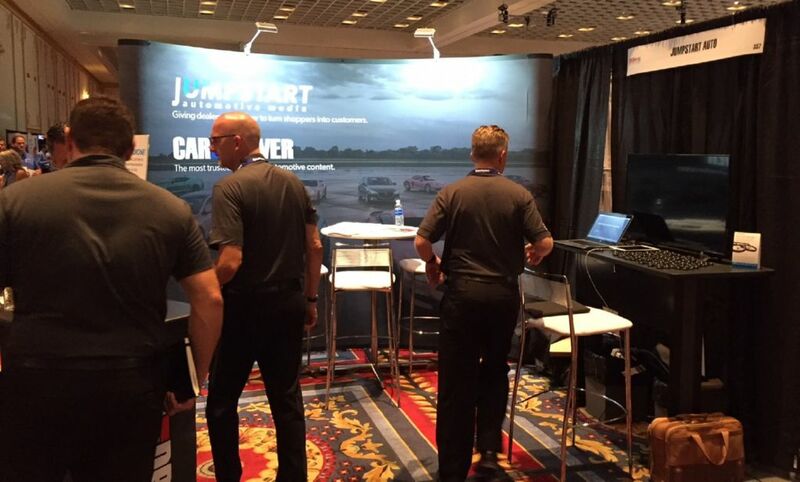 If you asked the smaller companies on display last month at the 23rd Digital Dealer Conference, they would give you a resounding “yes;” and my experience at the conference proves there’s some truth to that. The perimeter at the Digital Dealer expo was loaded with a bunch of names you’ve either never heard of or you had no idea that they’ve been busy creating tools, products and services that genuinely help dealers move metal. Moreover, because of their size, you’re not getting a weekly visit from one of their salespeople. 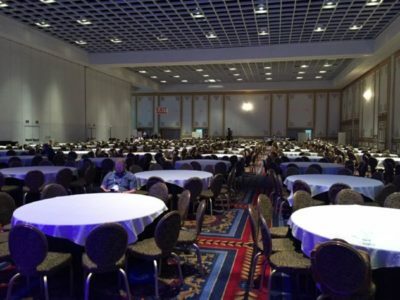 Given this, I decided to highlight a few of the many great solutions I found around the perimeter at Digital Dealer 23 in hopes you’ll consider contacting these off-the-radar companies and give them a chance to show you how they are helping dealers grow sales (or service) market share, while also lowering the acquisition costs of these activities. Many of you are exhausted by the number of email marketing offerings out there. Furthermore, most of the “solutions” I’ve examined over the years simply don’t drive the promised in-market customers to your website or showroom. 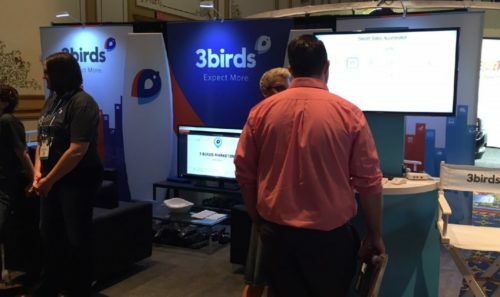 Many perimeter partners like 3 Birds saw tremendous booth traffic. Couple that with some of the clumsy equity mining you’re doing – you know what I mean if your efforts are angering your loyal customer database – and you’re probably done with anything having to do with marketing to your database. Relax; you’ve just been doing it all wrong. 3 Birds has built a better mousetrap. They’ve developed a smarter way to mine your database in a way that won’t anger your loyal customers or frustrate your sales team with meaningless phone calls. Instead, their new solution tracks the intent of your customers in a way that I’ve not seen before in automotive. This solution shows so much promise to drive real sales and service revenue that I insist you reach out to their team for a demo of their automated marketing. Wait, I’ve heard of these guys! How can they be on this list? Car and Driver listings are available now to dealers looking for in-market buyers. Simply put, Jumpstart is doing so much more than you ever imagined! 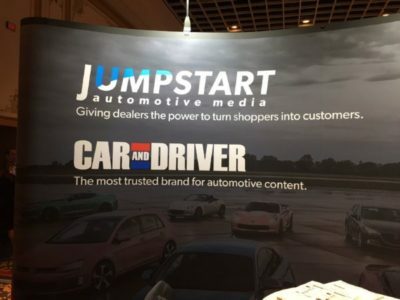 From their traditional in-market display advertising platform (that delivers a dealer’s ad to an exclusive audience of truly in-market customers) to their newly announced vehicle listings on CarAndDriver.com, Jumpstart Automotive has quietly become a must-have partner for most every rooftop in America. When you do contact them, be sure to ask about their shopper engagement tools that can be easily and seamlessly incorporated into any dealer website; products like their Activator Enhance, which can increase your trade-in leads by 25% or more. Don’t get hung up on the name, Adworkz is not another in a long line of companies trying to overmanage your digital marketing or steal your SEM budget. Nope, they’re just a group of hungry entrepreneurs building some really cool, useful stuff for dealers. My current favorite offering from Adworkz – and one that I recommend you look at – is their Make it My Auto tool that gives your prospects something profitable (for you) to do while they’re waiting on F&I. With this tool and an iPad, your salespeople can take anyone through your accessories’ offers in a way that fills the prospect’s time and can lead to up to 4x the accessories sales you’re currently seeing. Wrong. What the team at Tru Images has built is something that every new car dealer – yes, every new car dealer – needs to consider. While we all know the stats about consumers’ desire to see real images of all vehicles – especially new cars – it’s often not practical for your team to take 32 photos of every Red 2018 Toyota Camry you receive over the next nine months. Moreover, it’s simply not good use of your team’s time and energy. With Tru Images, this week’s arrivals will have images automatically assigned to them based on year, make, model, trim and even interior and exterior color. This means an increased photo percentage with a faster speed to market and a truly improved customer experience. The best news is, there are no long-term contracts. Autobytel, you’ll learn, is much more than just third-party leads (though they do this extremely well and they truly are the last man standing in the space); they’re also busy driving real website traffic for dealers and then helping those dealers capture more leads from these visitors via both their mobile offerings and their conversion tools. The early crowd for the panel discussion I joined. The center of the Digital Dealer expo wasn’t full of Frankenfood, by any means, but it’s important to note that the very best part of these conferences is not the sometimes advertorial presentations or panels (one of which, I was allowed to join), but rather the vendor expo area where a dealership manager (willing to spend the time) can learn about solutions that will genuinely help them drive results. *What is suitcasing? Suitcasing describes any non-exhibitor that presents their products or services to attendees or other exhibitors at the show.